The first step in conversion optimization is gathering data, but it can be difficult to track form conversions if you’re not a developer or analytics expert. Google Analytics has a lot to offer, but it doesn’t track your form views and conversions out of the box. 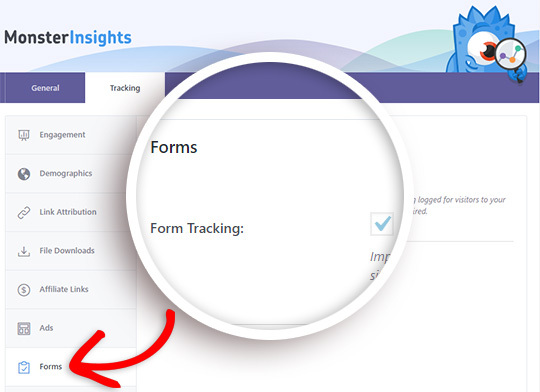 Now with the new MonsterInsights Forms addon, you can easily track your form views and conversions – no need to mess with code. All you have to do is install and activate the addon, no settings or configuration required. It just works. The Forms addon works with any contact form plugin, so it’s easy to see your WPForms and Gravity Forms analytics, or any other WordPress form plugin. With the insights you get from the Forms Addon, you can optimize your forms to get more leads than ever before.